Pigtails and Power Tools Cosplay - Achieve Your Dreams! Every New Year we like to come up with resolutions and goals to get ourselves moving and try new things. Pigtails and Power Tools Cosplay, also known as the lovely Ainsley, sets her new goals for the year by testing her skills. Every project she picks out has a new skill involved or helps her improve a current one. She is always looking to see how far she can push herself. You can see her top five materials to try in 2016 in the Utah Geek Magazine centerfold. 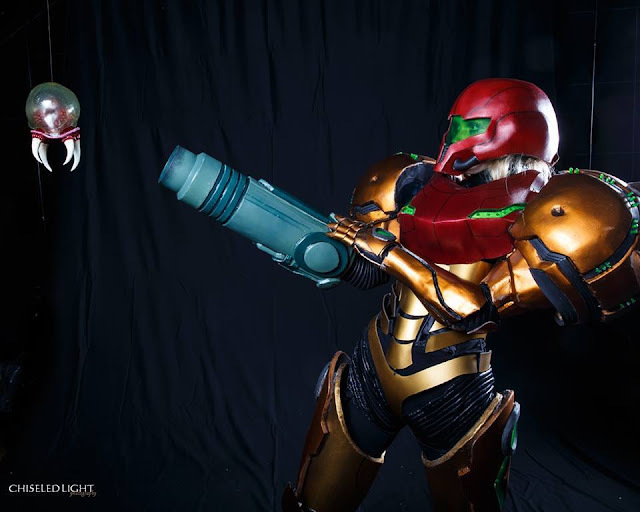 Ainsley's Samus Aran Varia Suit cosplay was a dream cosplay of her's for a long time. It took her many years to complete but she finally did it! As far as big projects go, the Varia suit is definitely a big one to tackle, especially for someone who just started cosplaying in 2013! Other than the Varia Suit, Ainsley has made a number of beautiful creations from Princess Zelda to a Navi inspired costume from the Legend of Zelda. 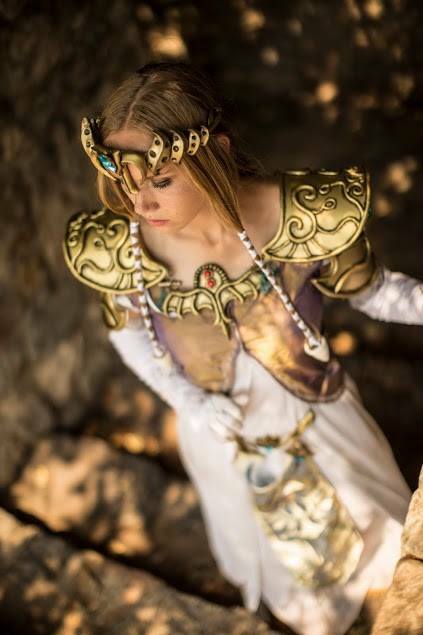 She is currently working on a Queen Zelda from the game Hyrule Warriors and another Samus suit, the Light suit. Ainsley's hard work and determination to create new things is quite infectious! When I was little my mom had told me about something called San Diego Comic Con, where people dressed up and and all had fun enjoying their favorite games, comics, and movies. I always wanted to go to a convention for the longest time, but Utah didn't have any that were close by until 2013 when SLCC came around. 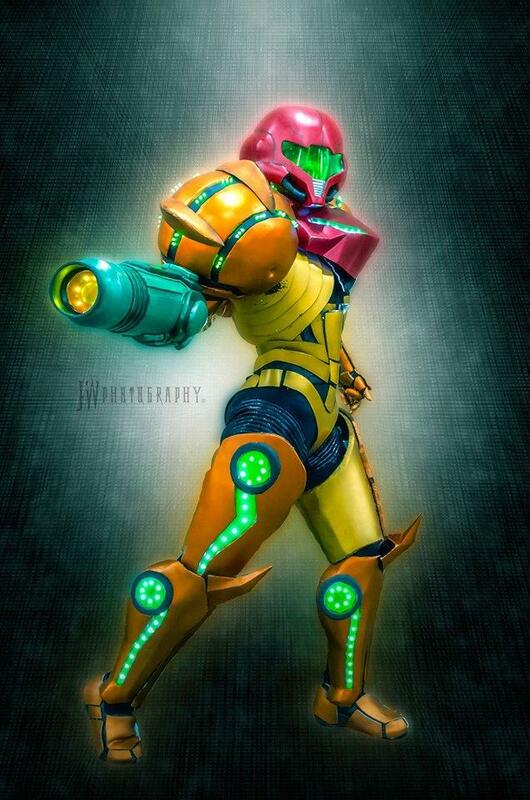 How long did it take to work on Samus's Varia Suit? Oh geez, I first thought of the idea to make the suit my senior year, about early 2014. I originally was going to make her all out of worbla but as I began to plan and budget everything out I quickly discoed that worbla would not be the most ideal material. I then threw away the first craft foam base of the suit and started over from the beginning. After finding out about Pepakura, and rebuilding the suit twice I finally had my suit complete. The whole process, and mess ups altogether took about a year. 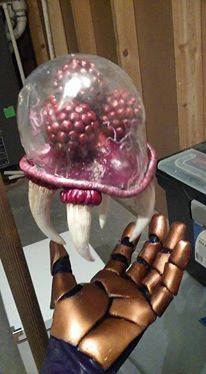 The hardest part of the suit would have to have been [putting resin on] of the armor, and the rigging. this suit is not in human proportions so I had to figure out how to fit myself in it. How did you figure out how to fit the armor properly? Can you describe that process? The armor may look pretty on the outside but on the inside is a mess of straps and harnesses. That is what helps to make sure that everything fits properly. The whole costume is held up mostly by harnesses, suspenders, and a whole bunch of clips. The torso armor is actually all held on by a corset, which allows the armor to be very fitted to me and give the figure of Samus Aran. It was a lot of trial and error to fit all the armor properly. I tried Velcro once. once... and it didn't hold up at all. Part of making sure all the armor stays on properly was making sure that all of the pieces are also fitted to you as well. I had to reprint a lot of armor piece to make sure it looked proper and fit me properly at the same time. "The Metroid series, and Samus Aran herself have a really special place in my heart and I wasn't going to let a little sickness, mess ups, or being lazy about details stop me. I was going to make my dream suit whatever it took." Did you ever want to give up? If so, how did you overcome those feelings? I wanted to give up many times. I had never made a full suit before this and I didn't want to add every single detail to it either. I would constantly find myself laying on the couch because I was sick from the resin. I had never worked with Pepakura before and didn't know what I was doing. I had to reprint the whole suit twice! It was really hard to make this suit, but I wanted to have this suit so badly. I wanted to show everyone what I could make and that I could do anything I put my mind to. I had already put so much work into it and was in pain and I was going to get a reward for it. The Metroid series, and Samus Aran herself have a really special place in my heart and I wasn't going to let a little sickness, mess ups, or being lazy about details stop me. I was going to make my dream suit whatever it took. What new tricks or materials did you learn while working on this project? Well I learned how to use Pepakura, fiberglass resin, and bondo! While working on the suit I also found out how to make the resin cure faster and learned how to do complicated rigging. For example: The large shoulder balls have their own harness to keep them up that is completely independent from the rest of the suits straps. 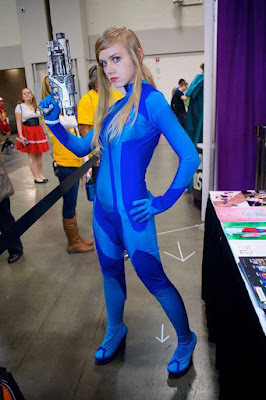 Now that Samus is complete, what is your next dream project? Well Samus Aran was my dream for a long time. I'm not entirely sure what my next project will be. I do however have my mind on Kerrigan, Queen of Blades from Star Craft and Star Craft 2. She is just really intimidating, and has an amazing story. 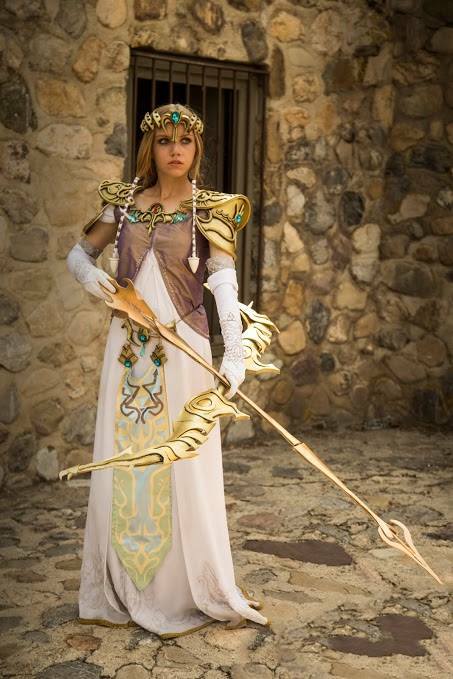 I wish more people would cosplay her more often, but she is indeed a difficult build. Can you give use some advice for working with anew material? How should one approach working with something they have never tried before? My first piece of advice is to never give up. Keep trying and working with it, you will soon be able to be a master with it. Also research the crap out of the material and learn all you can about it. Don't be afraid to ask other cosplayers how they use it and ask if they have any tricks on how to work with it. You will eventually get the hang of it.